After the council noticed the walls on their newly installed pumping station were distorting and losing its shape underground, they were eager to seek a supplier who would manufacture and supply supreme quality products. 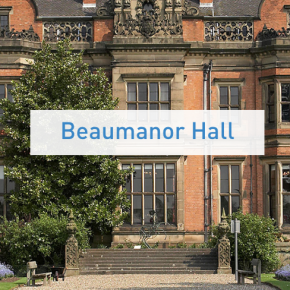 Beaumanor Hall is a Victorian country manor, used for weddings and events and therefore need a robust Pumping Station for these needs. The initial pumping station had been installed into the ground and the pumps had not yet been installed before the County Council noticed the station started to lose its shape. This raised major doubts about the existing products suitability for below ground installation, as not only had it caused a severe health and safety risk for the council but it also carried financial implications. This led to Leicestershire County Council making the decision to rip this station out and start over. The quality of the chamber helped T-T secure the order, with its range of package stations manufactured from strong, medium-density polyethylene. All are BBA accredited and hydrostatically pressure tested for below ground use. The twin pump Jupiter station is ideal for bigger developments, hotels, hospitals and sewage works, so undeniably perfect for this project. The basic unit can undergo special modification to provide capabilities of up to 15,000 litres. T-T delivered the entire package to site and Leicestershire-based contractor Tanwood construction and Newline Civils installed the new chamber. T-T returned to the site to commission the pumping station, which was completed in just one day, with the Pumping Station now in full running order to the client’s satisfaction.